Until we are tested we never know how we will cope with ‘the big stuff in life’. As we are all different in our outlook, one problem could be small to one but a life changing disaster for another. It’s only after we are through a ‘crisis’ that we realise that the world didn’t end and somehow we survived even though we were so sure we could not face the situation let alone cope with it and live to tell the tale. I am sure we have all had these moments, I wonder, have you heard yourself say, ‘I don’t know how I coped, looking back it was dreadful, day after day…… I couldn’t do that again’. When this happens we should be so proud of ourselves that we found our hidden strength every day, to not give in but just to live through it. I saw this saying the other day which resonates with me in the ups and downs of life. ‘Life is amazing and then it’s awful. And then it’s amazing again. In between the amazing and the awful its ordinary, mundane and routine. Breathe in the amazing, hold on through the awful, and relax and exhale during the ordinary. That’s just living, heartbreaking, soul-healing, amazing awful ordinary life. And it’s breathtakingly beautiful’. 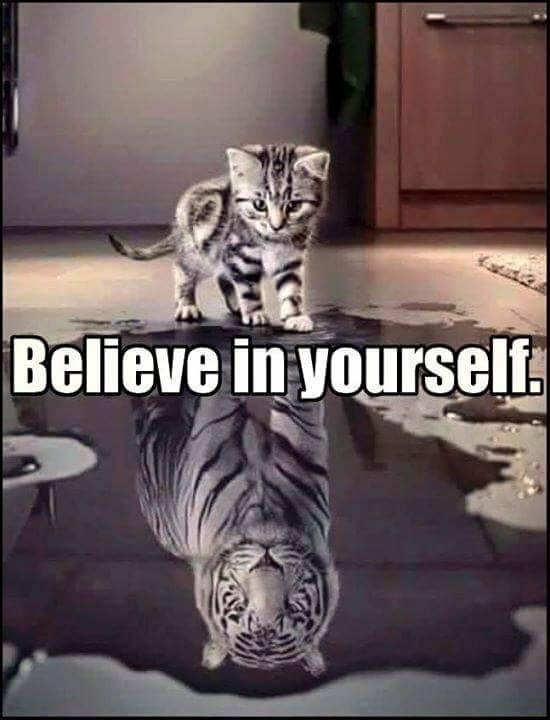 So when you have a low day, look in the mirror and see your inner strength inside, you never know the tiger may be purring just over your shoulder. I think this picture really does sum up everything you write about – just perfect! Hi Dena. Thanks for this post – and the great picture. It’s so true. Life will always have it’s ups and downs for everyone. But it shouldn’t be about what life throws at us, it’s about our strength inside.